The location and charm of this hotel was incredible. 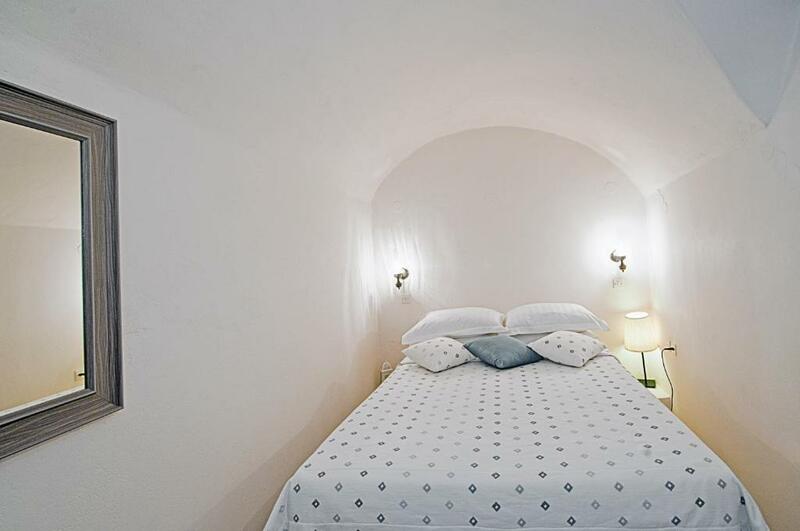 Was the best place to stay in santorini since it was right in oia! Wonderful staff, extremely private, and you can’t beat the amazing view. The staff are incredibly helpful and very service oriented. We will be back again without a doubt! Location- est spot to see the sunset and walk around. Staff friendliness - everyone was incredibly helpful and kind, from the owners to the luggage guys. The whole experience was enchanting! 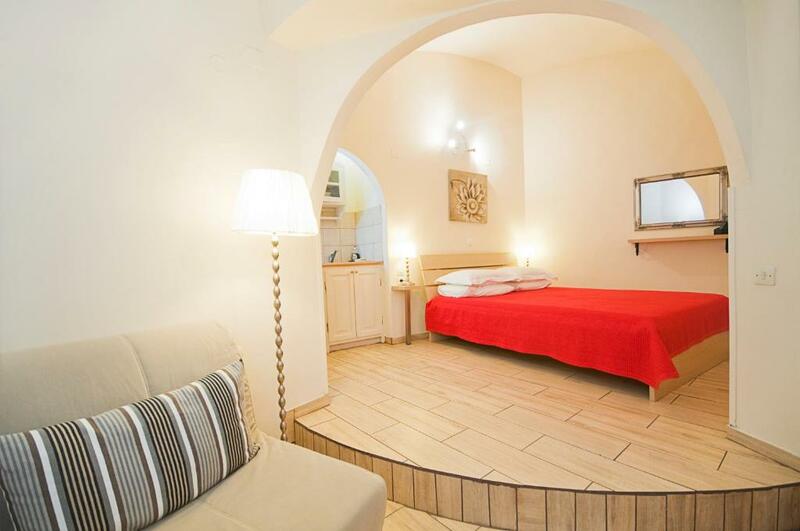 Great location and good value. Friendly and helpful staff. Loved the views!!! Excellent property. Great location!! We loved the view and how our room was private and resembled an apartment. The staff was extremely kind and helpful. They were never without a smile or a helping hand. The breakfast was delicious and there was a gorgeous view from the breakfast patio. Couldn't have imagined a better place to stay. Our favorite accommodations from the trip by far. The location is perfect for sunset. Really amazing. Lock in a great price for Golden Sunset Villas – rated 9.1 by recent guests! 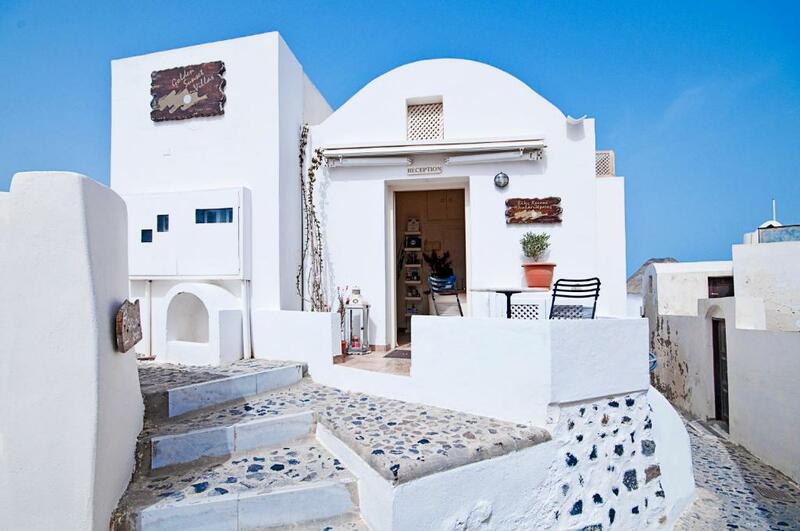 Carved into the volcanic rock in the traditional settlement of Oia, Golden Sunset Villas offers romantically decorated accommodations with magnificent views over the Caldera and the sunset. Free Wi-Fi is available in public areas. 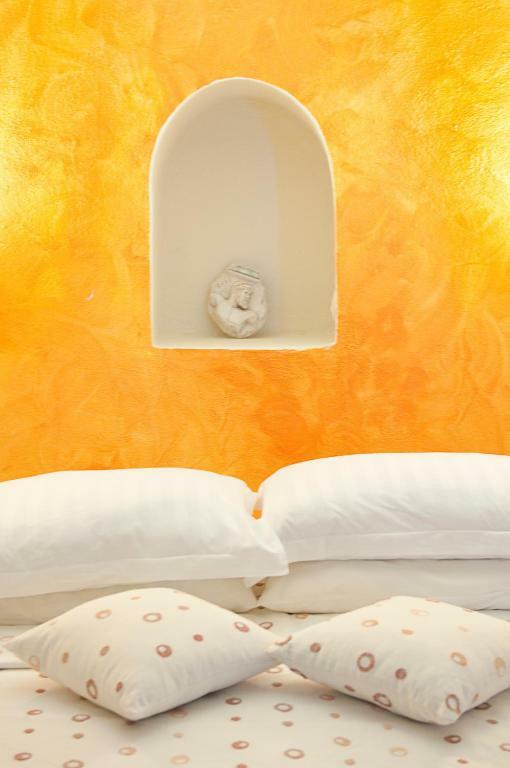 Decorated in keeping with the characteristic Cycladic style, Golden Sunset rooms feature built-in beds and sofas. Each air-conditioned unit has a kitchen and a living room with a satellite TV and DVD player. All rooms also feature a furnished balcony. Guests at Golden Sunset can start their day with a buffet breakfast, enriched with Greek products. Room service is also available. In the village of Oia, guests can find charming cafes and restaurants. 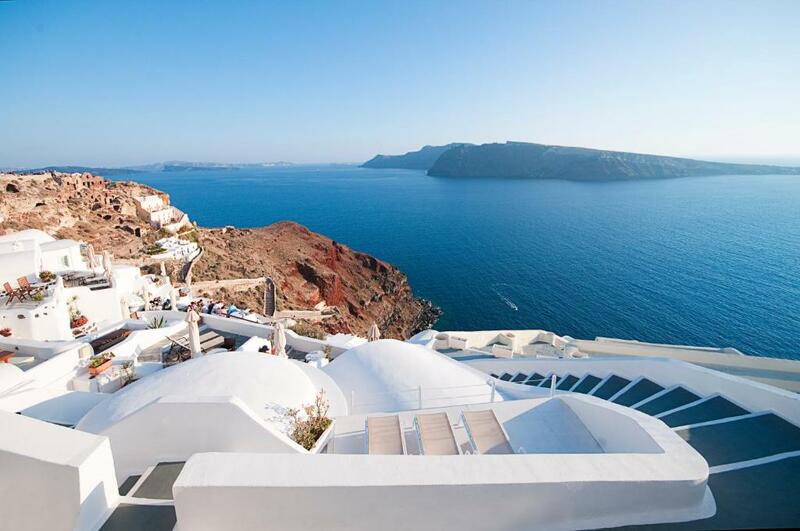 Fira, the lively capital of Santorini, is around 6.2 mi away. Public parking is possible near the complex. When would you like to stay at Golden Sunset Villas? House Rules Golden Sunset Villas takes special requests – add in the next step! Golden Sunset Villas accepts these cards and reserves the right to temporarily hold an amount prior to arrival. Please inform Golden Sunset Villas of your expected arrival time in advance. You can use the Special Requests box when booking, or contact the property directly using the contact details in your confirmation. perfect location for the ioa sunset! 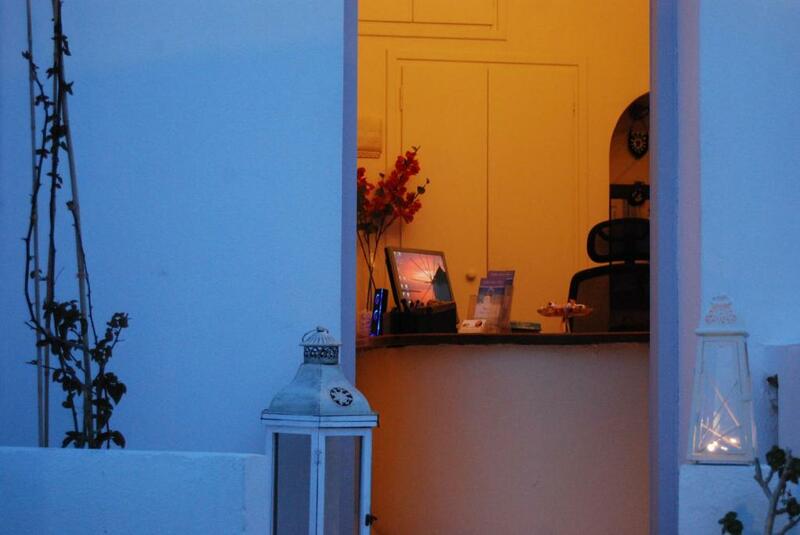 you have everything from your doorstep, as well as santorini cats! ideal for a relaxing family trip to enjoy ioa in its central heart. very good breakfast with stunning view! Perfect location and hosts outstanding. 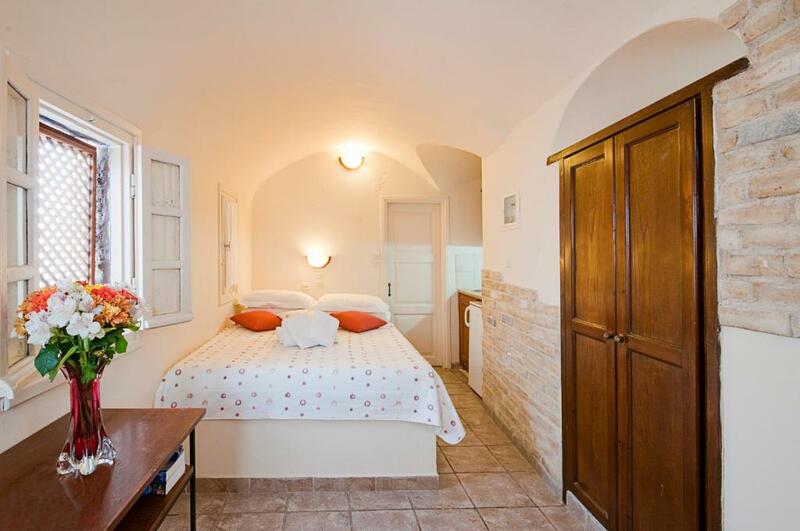 My only comment would be that other islands have quieter settings and more privacy - but if you want Santorini, then this is the place to stay! The only thing is that it is about a 5 min walk from the parking area and the underground is not really great for heavy rolling suitcases as there are a lot of small stones and stairs so it was a bit of a challenge to get there. Also, our bathroom smelled a bit funny but after opening a window it was fine. It was great. Great hotel, great facillities good value for your money and amazing view (we where there in October)! You have your own private space allong all daytrip tourists. Easily one of the best villas to relax and watch the sunset. The place was absolutely beautiful. Highly recommend!!! The cost was a bit on the higher side but perhaps that’s normal for Oia. To leave and go home! We immediately felt at home. The hosts were warm, friendly and helpful. The apartment was inviting and more than we have expected. Bed was hard and lighting in bathroom was too dim. 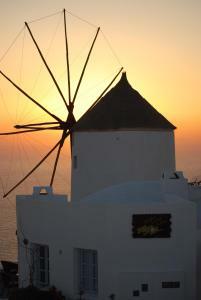 The best private sunset view in Oia Santorini. Highly recommended!!!! Brilliant location and view. Host Spiradula was very frienfly and helpful with all arrangements, before during and on departure. The apartment was fun, in a real trafitional style. Sunsets superb. We felt priviledged!! As noted, steps are steep. Its a windmill though, so this was expected. The outdoor space is large and watching the sunset from the terrace was an amazing experience. 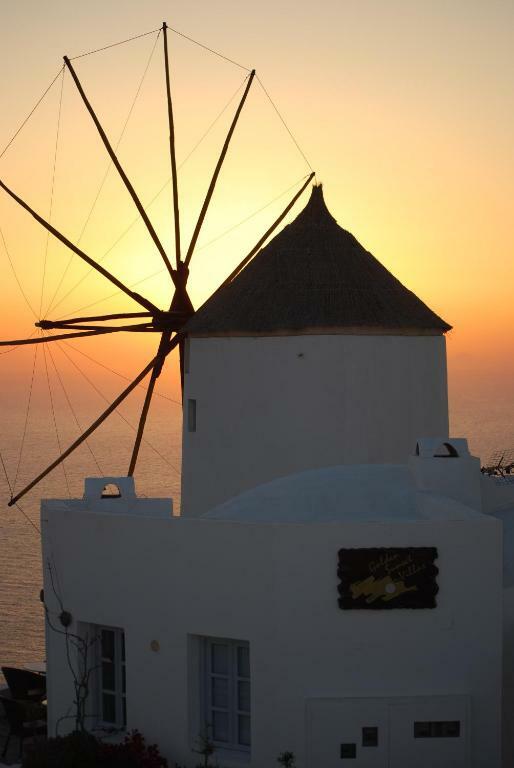 Grab a drink from the nearby store and settle in for a sunset in Oia. Our hosts were wonderful, truly lovely people - they provided recommendations for activities and restaurants and were a pleasure to talk to. They helped us arrange for pick up from the ferry and transfer to the airport. They made our stay feel like home. The best sunset view in the world!!! 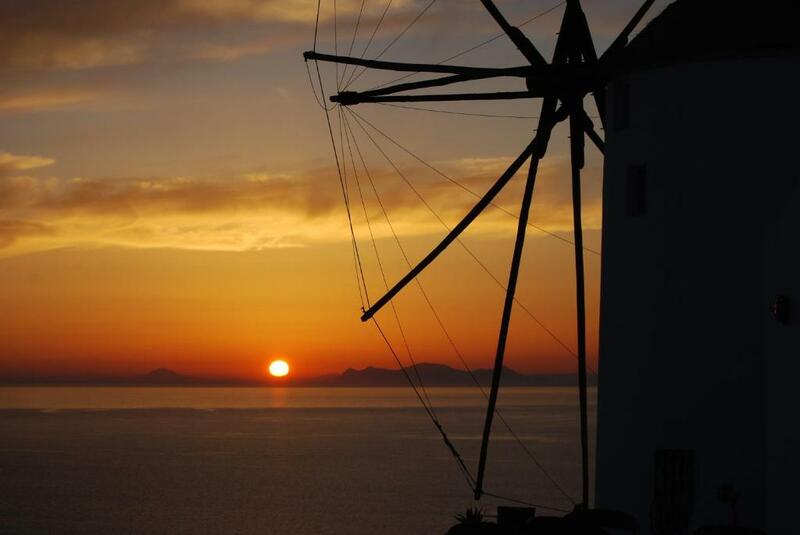 Amazing experience with fantastic sunset view!!! No any other place like this.